Breeders may put you on a waiting list or give you a poodle puppy finder questionnaire. This helps the breeder ensure there are good homes waiting for the pups and helps ensure a better match for puppy and owner. A breeder wants to find a puppy who will integrate well with your life, and the questionnaire helps the breeder ascertain your knowledge of poodles, your lifestyle and whether a puppy is a good fit. He'll tell you about toy dog breeds and see if the toy would be a great addition and fit for your home. The miniature poodle breeders, toy breeders and standard poodle breeders want you to know what it's like to own one, that they need to be regularly groomed, and what you expect from a dog. They also want to know whether you want a male or female, your family status, and whether you would consider an older dog. The breeder wants to make sure the puppy won't be neglected, will be housetrained, that there are places the pup can get exercise, and that you can devote enough time to your puppy. He'll also want to know that you plan to keep your dog indoors and make you aware that poodles need to be with their family, not apart from them. If you live in an apartment, the breeder may ask to contact your landlord to be sure dogs are allowed. 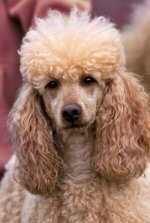 A good breeder and puppy finder wants the best possible home for a poodle and doesn't want to see the pet end up at an animal shelter later. A responsible breeder wants the best home for his puppies. And owners want the healthiest, best pet for them. There are questions you should ask the breeder, to get the perfect puppy for yourself. Ask if the parents have been tested for Willebrand's, hip dysplasia, thyroid problems and progressive retinal atrophy. Ask him how long he has been breeding, to meet the mother, and where the pups were raised. The area should be clean and the breeder and his family should interact throughout the day with the pups. You should also ask to see the registration form and pedigree of your puppy. The pedigree will list the pup's family heritage. 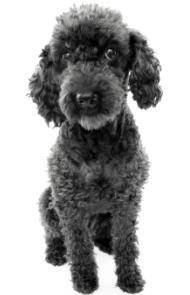 Purebred poodles need a registration form, so make sure the breeder has one. It shows the pup's parents are registered. And ask to see your pup's health records which lists her vaccinations and the wormed date. 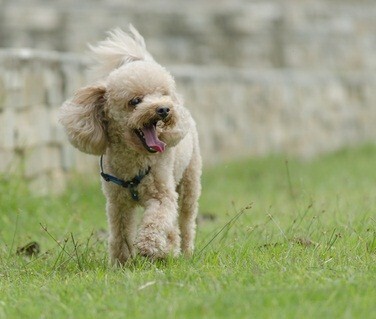 A breeder is a dog finder, and two way open communication between a potential owner and breeder will help the pup find a loving home and will lessen the chance that the poodle is abandoned later on.